Kerry Bogart has written a great review of the new large bubble bead making press from Zoozii’s, makers of some of the funnest (a real word?) and spiffiest bead presses out there. And check out the necklace Kerry made using the press. Kerry makes beads…creates jewelry and regularly writes both books, tutorials and her blog. 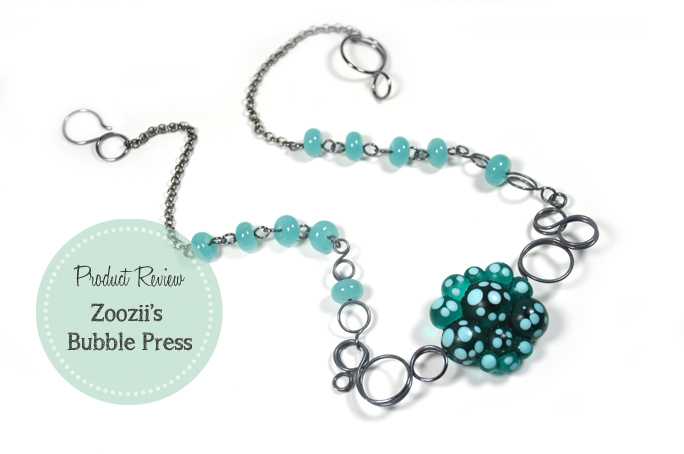 Check out what she has to say about this super cute bead press and then check out all of the different presses Zoozii has to offer.